By popular demand, Fathom Events and Sing Out, Louise! Productions will bring “Allegiance: The Broadway Musical on the Big Screen” back to select cinemas nationwide for a special encore event on Sunday, Feb. 19 – the Day of Remembrance and the 75th anniversary of Executive Order 9066, which led to the mass incarceration of Japanese Americans. Showtime is 12:55 p.m. and run time is about 2 hours and 15 minutes. Tickets will go on sale Friday, Jan. 27. For updates, visit www.fathomevents.com/event/allegiance-encore or text “Arts” to Fathom (328466). Straight from its Broadway run and inspired by the true-life experience of its star, George Takei (“Star Trek,” “Heroes”), “Allegiance” follows one family’s extraordinary journey in this untold American story. Their loyalty was questioned, their freedom taken away, but their spirit could never be broken. “Allegiance” is the story of the Kimura family, whose lives are upended when they and 120,000 other Japanese Americans are forced to leave their homes after Pearl Harbor. Sam Kimura (Telly Leung of “Godspell” and “Glee”) seeks to prove his patriotism by fighting for his country in the war, but his sister, Kei (Tony Award winner Lea Salonga of “Miss Saigon” and “Mulan”), fiercely protests the government’s treatment of her people. The Kimuras fight between duty and defiance, custom and change, family bonds and forbidden loves. The cast also includes Michael K. Lee as Frankie Suzuki, a draft resister and Kei’s love interest; Katie Rose Clarke as Hannah, a camp nurse and Sam’s love interest; Christopheren Nomura as Tatsuo Kimura, Sam and Kei’s father; and Greg Watanabe as JACL leader Mike Masaoka. Takei, who was himself sent to camp with his family as a child, plays Ojii-chan, Sam and Kei’s grandfather, as well as present-day Sam. The screening will feature an exclusive intro from Takei and bonus content from show insiders. 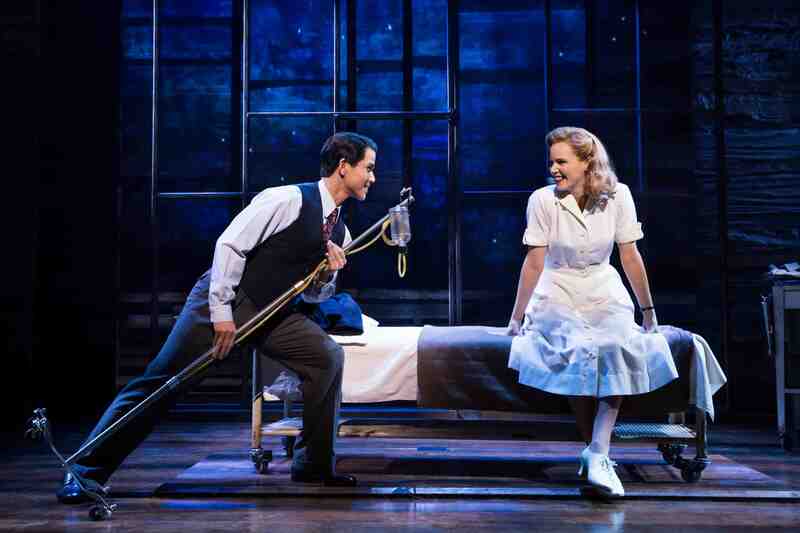 The Dec. 13 screening of “Allegiance” was the highest-grossing one-night Broadway musical to date for Fathom Events. “Fathom is thrilled to bring this wonderful Broadway show back to movie theaters nationwide one more time following its successful debut and to continue to extend its relevant message beyond the stage to the big screen,” Fathom Events Vice President of Programming Kymberli Frueh said. For more information on the show, visit http://allegiancemusical.com.